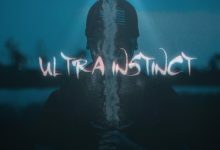 “ULTRA INSTINCT” is the newest single off IKO’s newest album, “Lyrical Gohan” which will be released by summer 2019. The video follows the idea of “Karma” coming to life, and going after individuals who cause harm to others. The song focuses on pop-cultured inspired lyrics, that range from anime, comic books, movies, and video games, that are technical in it’s execution and delivery over a trap-hop style instrumental. IKO THE RAINMAN is an American-Brazilian hip-hop artist and filmmaker from South Florida. IKO draws his lyrical inspiration from comic books, cult television shows, video games, and much more. He has achieved his growing popularity due to his unique blend of popular culture references in his songs, as well as his fast-paced delivery. His primary musical influences include Pharoahe Monch, Childish Gambino, and MF Doom.